With the heat and humidity of summer fast approaching, we’re adjusting our beauty look to adapt to the new season. It seems like every summer we’re contemplating taking the plunge, not just into the pool, but with a bold haircut. The pixie cut is the ultimate summer hairstyle — no hair on the back of your neck and easy maintenance makes it the perfect wash-and-go cut. Take a look at some of our favorite celebs and models who have taken the big chop for the best pixie cut inspiration out there. 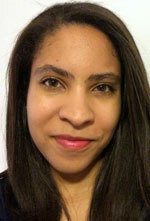 Hanna Howard is a writer and editor living in New York City. A native of northern Virginia and a four-year Chicago winter veteran from her college years, she enjoys both complaining about NYC's cold and telling people how much worse it is in the midwest. In her spare time, you can most often find her covered in flour from a baking project, adding to her expanding shoe collection or reading long-form true crime stories.